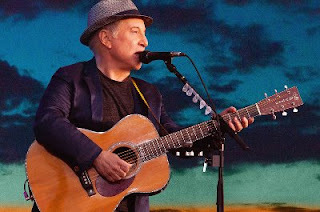 Home / -Touring- / Paul Simon / Touring / Touring: Paul Simon Announces "Homeward Bound - The Farewell Tour"
Touring: Paul Simon Announces "Homeward Bound - The Farewell Tour"
Tickets for Paul Simon's Homeward Bound – The Farewell Tour will go on sale beginning February 8 at 9 a.m. in Europe and February 9 at 10 a.m. in North America and the UK. The complete tour itinerary is listed below. Having created a distinctive and beloved body of work that includes 13 studio albums, plus five studio albums as half of Simon & Garfunkel, Paul Simon is the recipient of 16 Grammy Awards, three of which, Bridge over Troubled Water, Still Crazy after All These Years, and Graceland, were Album of the Year honorees. In 2003, he received a Grammy Lifetime Achievement Award for his work in Simon & Garfunkel, and has sold more than 100 million records worldwide.